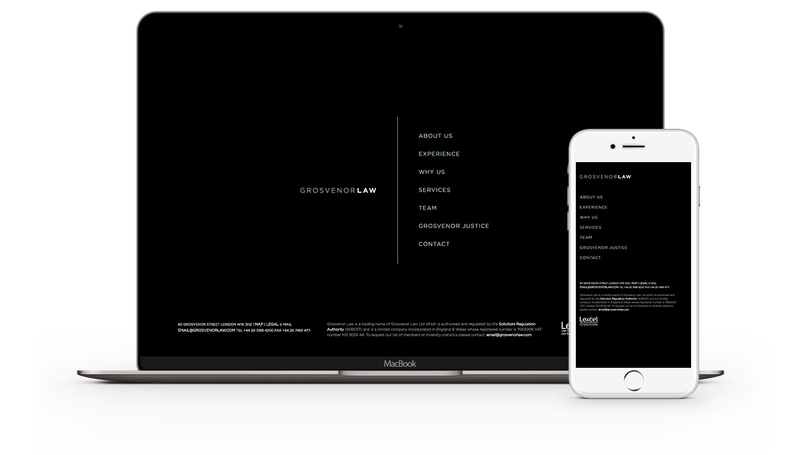 As one of London's premier law companies, Grosvenor Law specialise in personal and business dispute resolutions. Based out of Mayfair, they work on significant and complex disputes worldwide, across a range of business sectors for corporate clients and high net worth individuals. Their focus for their website was one of absolute minimalism, with a striking black & white colour scheme. The only place that photos appear on the website are on the team pages, and the result is a website that looks ever so sleek. Clicking on the “Grosvenor Justice” link reverses the site colours and takes the user to a section all about their specialist justice department. All built in WordPress and mobile-friendly.